The Boulder River, which flows from the Absaroka and Beartooth mountains into Sweet Grass County, is one of the tributaries to the Yellowstone, joining that much bigger river near the community of Big Timber. 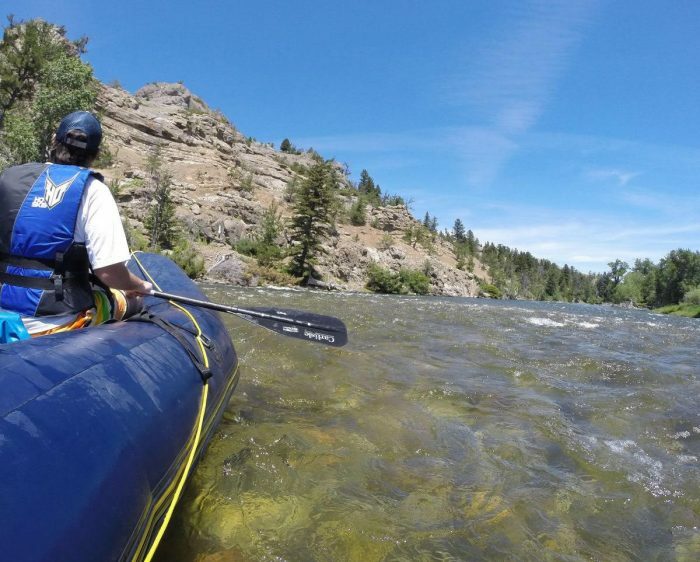 Like many of the state’s smaller rivers, the Boulder is a seasonal stream for boating. By July or August, depending on mountain snowpack and rain, it’s typically too low for rafts. In that short stretch of time, though, this river offers a fun route for those who are good at dodging rocks, riding waves and easing past tight corners. There’s also some great fishing along the way on a stream that typically sees less pressure because of few access sites. To learn more about the Boulder, check out my story on the Montana Untamed website at http://bgz.tt/lvzvs.